A Must-Have line of Products for Beautiful, Soft, Shiny, Silky Smooth Hair! I’m pretty obsessed with hair products. As I’ve finally been able to grow my hair out super long for the first time in my life (Thanks to continued use of Biotin for the last 3 years! ), keeping my hair looking it’s best has absolutely become top priority for me! My naturally dry, frizzy hair is always in need of some major nourishment and moisturization so I’m constantly on the lookout for product that can do just that! I recently got to try out an amazing line of hair care from Britain that claims to do just that! Envy Professional is an absolute miracle in a bottle! It is not only used by thousands of hair stylists around the world, but by many many women worldwide, and that is simply because IT WORKS! 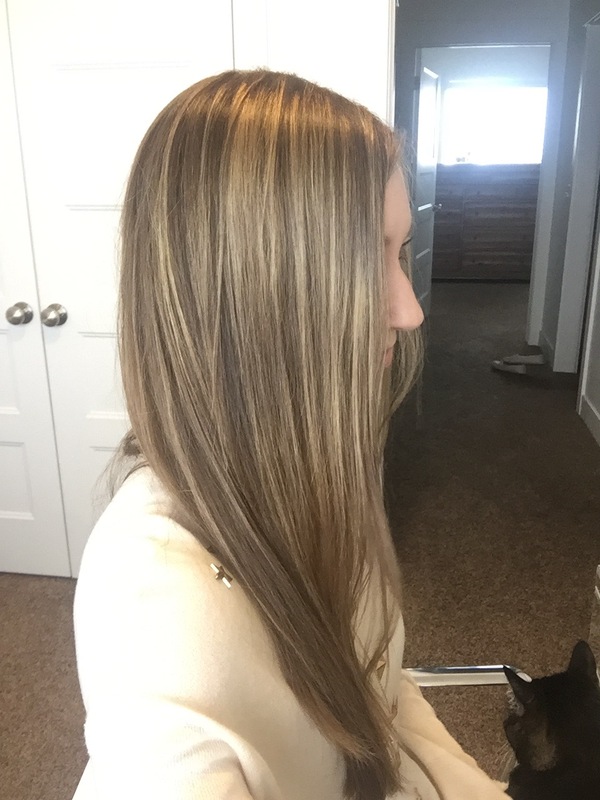 I recently got to try out the Envy Blowdry Professional set of Shampoo, Conditioner, and Dual Fix 12, and I was beyond impressed! I couldn’t believe how great it worked for adding some much-needed gloss and shine to my hair! 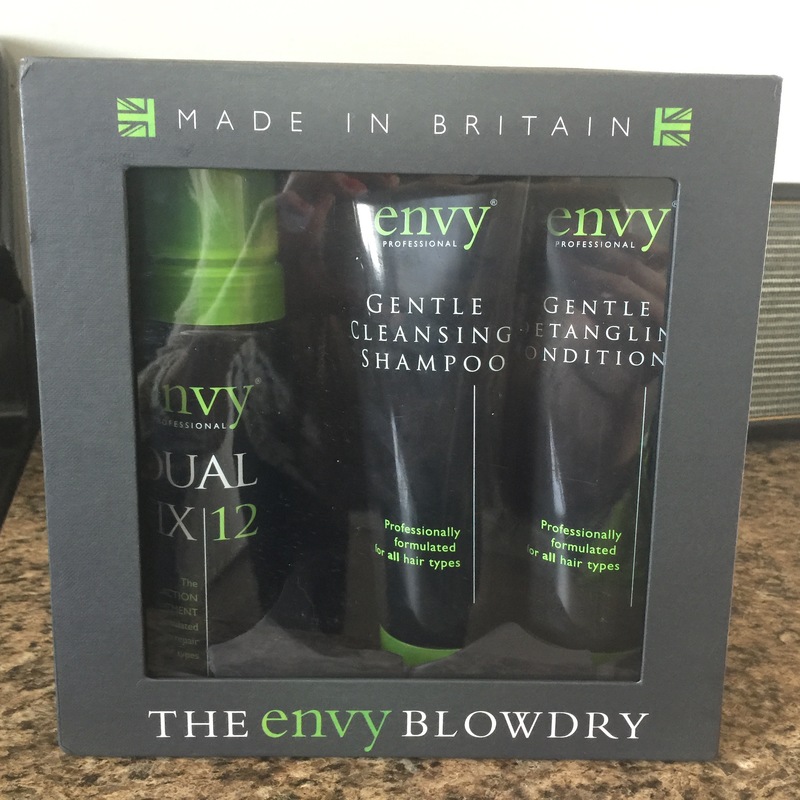 The shampoo and conditioner is used as normal, but you can use the Envy Dual Fix 12 a couple of different ways along with the shampoo and conditioner to get max benefits and hair that no doubt, every woman around you will envy! The first time I tried out this amazing line of product from Envy Professional, I used the Dual Fix 12 (which is used in many professional salons worldwide as an intense hair repair serum that works amazingly for all hair types). After washing my hair. I left it on for 1 minute in the shower, rinsed and followed with conditioner. This amazing treatment contains silk proteins and keratin amino acids to target damaged areas and leave hair feeling silky, smooth, and super shiny too! The second time I used it, I used the intense variation and applied the mousse-like product to dry dirty hair, blasted with a blowdryer, then followed up in the shower with 2 washes with my Envy Shampoo and Conditioner. What I noticed immediately after this wash was just how mush softer and shinier my hair has looked that it has in ages! This treatment is no doubt super intense, and the results are dramatic! In fact, it was much more dramatic then after my first use of these products where I only rinsed the Dual Fix 12 in the shower after leaving on my hair for a minute, and I was super impressed with that use! This use was absolutely mind blowing! Especially because this time I was lazy about styling my hair afterward and just let it air dry. My hair normally looks rough this way no matter what amazing products I use, but not this time! I could tell by looking at and running my fingers through my hair, that it was so much softer and shinier-looking too! The conditioner is also an awesome detangler too and my hair stayed detangle-free, even after air drying! This is rare for me! The products do have a bit of a weird, strong salon-smelling scent, but it washes out and you don’t notice it once hair is dried and styled, but boy do you notice what it has done for your hair! I’m completely impressed with and loving these amazing hair care products from Envy Professional and will no doubt continue using it for many years to come to get amazing healthy, moisturized, shiny, soft, tangle-free hair! *I was given this product for the purpose of review. However, all thoughts and opinions expressed in this post are solely my own. I only share reviews with my readers I feel will be informative or beneficial in some way. Wow – thanks for such a great review! We’re delighted that you love the products as much as we do, it’s a pretty big claim from us that it is suitable for all hair types but hopefully you have seen for yourself the results it gives and your audience will give it a try! Looks like it can repair the heavily damaged hair.. Very nice.